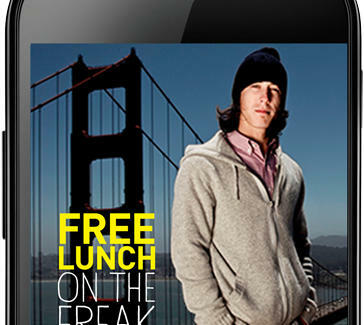 Whoever said "there's no such thing as a free lunch" is gonna need a more flame-retardant pair of pants, because Tim Lincecum is giving out dolla-dolla bills to SFers. All you have to do is download super-convenient, helps-you-pay-for-stuff smartphone app GoPago, then check Timmy's FB page right now for a code you can use at 100+ different venues (Back Yard Kitchen, Irish Times, Green Chili Kitchen...) for a totally free $10 meal, which you'll enjoy while you immediately delete the app learn more about GoPago gift credits! !